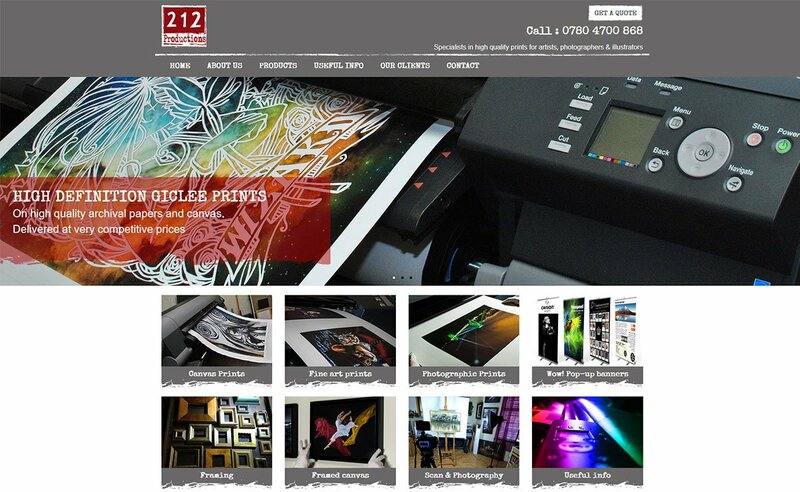 212 Productions specialize in high quality printing for photographers, illustrators & artists. They offer canvas printing, fine art printing, photographic printing (including Giclée), pop-up banners and framing. 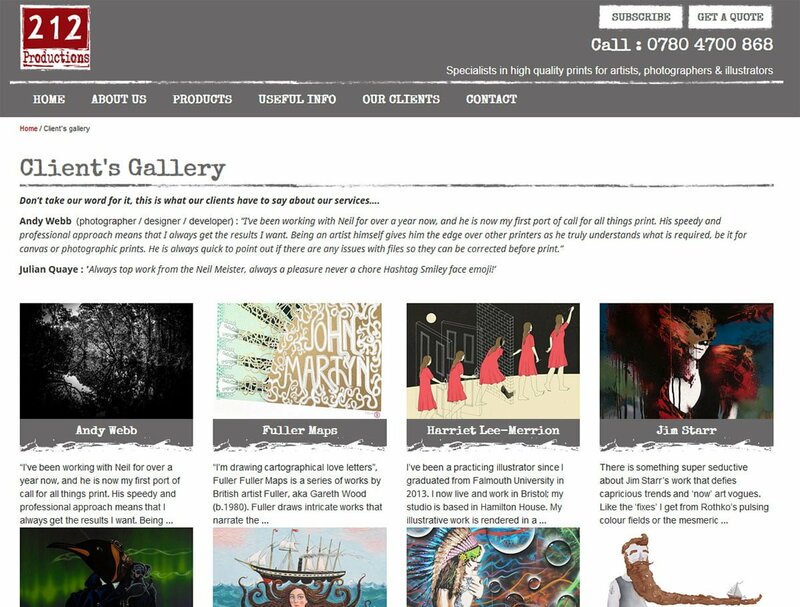 The website is being developed over 2 phases, the first of which, a redesign and rebuild in WordPress is now complete. Phase 2 coming later this year will include online ordering, stock control, file management and integration with Xero accounting software.